Jesus said; “I have come that you might have ‘life’ and more abundantly.” Abundant life, or super abounding life He came to give us, yet many people don’t even begin to really live life, let alone super abounding life. The answer is simple, listen in and be blessed! Believe it or Not, Peace Depends on it! 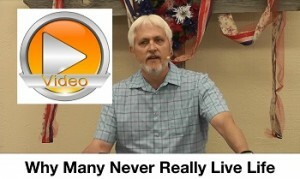 Can what you believe actually determine if you have peace and real rest, or not? Can religion disrupt our peace? If you believe God is angry or dis-pleased with you, can you REALLY rest? Join me today for a taste of peace. 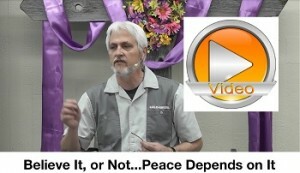 Posted on May 8, 2017 June 19, 2017 Author EvanCategories Grace Audio/Video MessagesLeave a comment on Believe it or Not, Peace Depends on it!